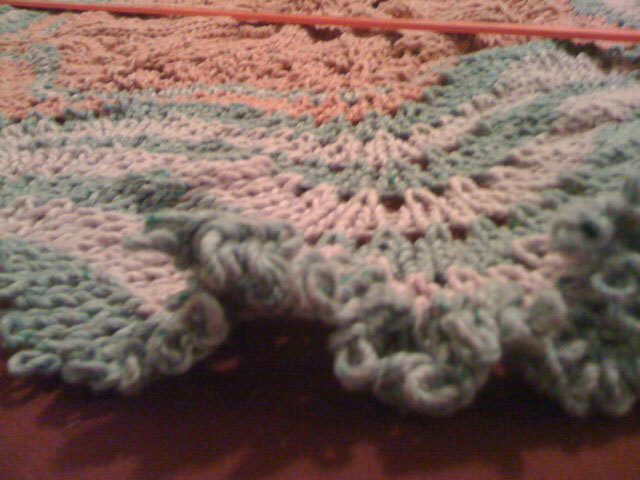 Hemlock Ring Blankie Ruffles – Opps! My Hemlock Ring Blanket is making s-l-o-w progress. This is attributable to the fact that as the blanket grows so do the number of stitches. While I was chugging along on the train back from Montauk, I had ripped and had the needles break. Leaving me too frustrated to continue. After undoing one row twice (an evening’s work each time! 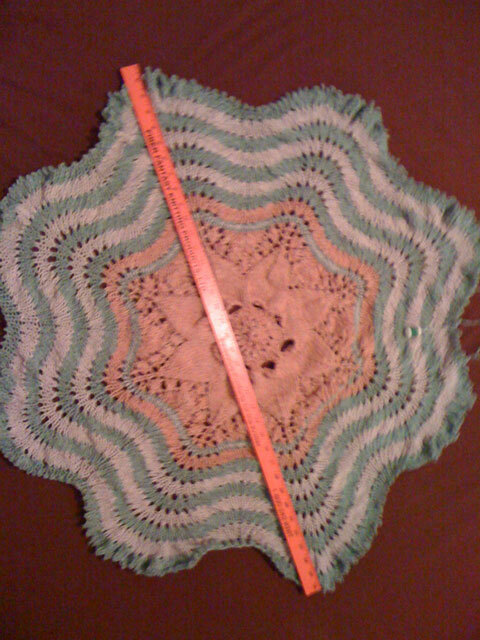 ), I have decided to take out the needle and lay it out on the bed since I think that there is a problem. I was right (I am sorry to say. I would much rather put the stitches back on the needles and call it a day! 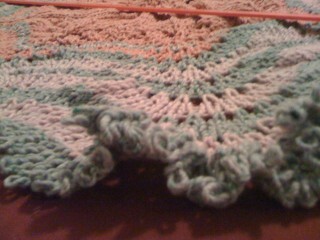 But my stitch counts were off by way TOO much and I couldn’t get the pattern in line with the previous stripes.) There are ruffles where the YOs gather. Opps! My husband counseled me to declare victory but the lap blanket is a mere 36 inches and there is more than 2 balls of yarn left which I wouldn’t use for anything since it’s very thick. Consider the length of the largest edge of live stitches to ensure that you have needles that can comfortably accommodate your work. Flexible needles such as Denises or KnitPicks can be very helpful. What do you do when you get into this type of situation? Declare victory? Rip? Let it sit in your knitting bag? I’m on my 4th attempt at this blanket, and I’m nearly done. Tonight I found a mistake 2 rows back, and another one row back. I’m tinking it, because it will eventually make me crazy to know the error was so close and I just let it go.